After a successful inaugural Challenge Philippines in February, held in Subic Bay and Bataan, Challenge Family have announced the expansion of their footprint in Asia with the launch of new half distance triathlon, Challenge CamSur, to be held on June 14, 2015. Challenge Family events are known world wide for selecting iconic and beautiful destinations. This is exemplified with the announcement of the Challenge CamSur. “We are honoured to welcome Challenge CamSur as part of the Challenge Philippine’s family of races. CamSur has a rich tradition and legacy in the sport of Philippine triathlons and having our new Challenge race in CamSur, with the passion and warmth always evident by the people of Camarines Sur supporting our athletes, is just amazing!” said David Voth, CEO, Leverage Sports Asia and Challenge Philippines chairman. “The 2014 Challenge Philippines race course in Bataan was proclaimed by many around the world as being the “World’s Toughest Course”, our goal for Challenge CamSur is to design and deliver one of the fastest courses in Asia and the fastest course in the Philippines.” Voth further commented. 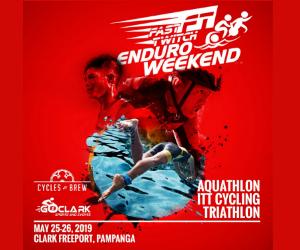 “We in the province of CamSur are proud to be part of the Challenge Family global series of triathlons and look forward to hosting Challenge CamSur. Our contribution to the growth of triathlon in the Philippines is substantive, being the host of the first major international triathlon event in the country in 2009, and this was for three consecutive years until 2011. This has established for us a solid international reputation in terms of hosting world-class triathlon events,” declared Camsur Governor, Migz Villafuerte. 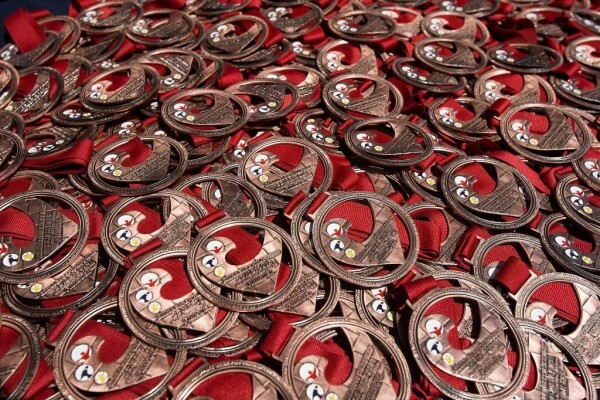 The Challenge CamSur course is designed to be fast and takes full advantage of the region’s breath taking landscapes. The swim is perfect for spectator support and features a two-lake swim at the CamSur Watersports Complex with a brief run between the two bodies of water. After the swim, athletes will exit T2 towards the scenic vistas of Mount Iriga and Mount Isarog. Much of this super fast bike course is on new or very smooth roads and incorporates the vibrant city of Iriga as well as historic WW2 locations at Mt Isarog. The out and back run course is also flat and fast, passing through local villages and rice fields, lined with cheering locals before a memorable finish line in the heart of the Camsur Watersports Complex. Anna Stroh, event director of Challenge Philippines and Challenge CamSur said, “Giving our athletes an opportunity to compete at highest levels, in well organized, beautiful destinations, in safe conditions, this is our primary goal. 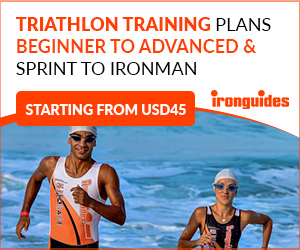 By delivering one of the world’s toughest races courses in Bataan and one of the fastest race courses in CamSur, Challenge will truly give triathletes a great race day experience and a race of a life time.” Challenge Philippines Triathlon in Subic Bay and Bataan and Challenge CamSur will take place on on 21 February 2015 and 14 June 2015 respectively. Both Challenge Philippines races have a new title sponsor. Yellow Cab Pizza Co has been a long time supporter of the sport of triathlon from grass roots through its own triathlon team, Team Yellow Cab (est. 2008), and sport developmental programmes including their initial support of Challenge Philippines in 2014 as an Official Partner. “We could not ask for a better partner. Yellow Cab is symbolic of quality, passion, and a positive lifestyle, so it’s a perfect fit for the Challenge brand. The fact that Yellow Cab Pizza Co, is a home grown Pinoy brand with an impeccable national, regional and international reputation and that they will be supporting our Challenge Philippines brand, this makes all of us very proud,” said Voth. Entries to Yellow Cab Challenge CamSur open at 8:00am (Manila time) on Monday 29 September at www.challengecamsur.com.